We love discovering the perfect pair of Christian Louboutin peep-toe stilettos or a coveted pair of perfect coated skinny jeans. That’s why the Community team brings you this week’s Posh Tip, sharing how to maximize your shopping experience by utilizing My Size on the web. Follow these quick steps to turn on your My Size so that you’re not missing out on your next beautiful purchase! 1. 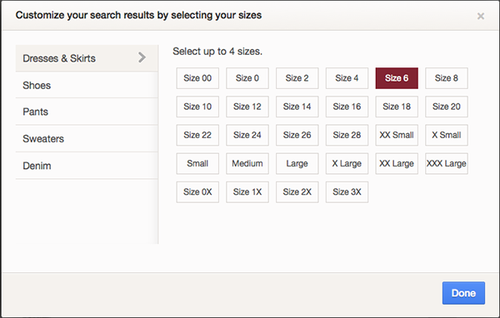 Find the My Size option under your username in the upper right-hand corner of your screen. 2. 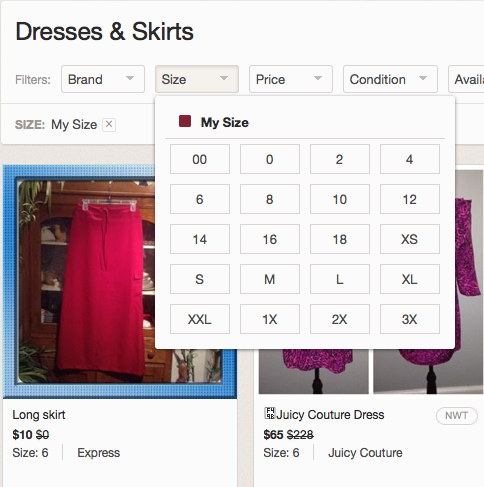 Customize your search results by selecting up to four sizes for each category. 3. Enable My Size when you are searching a category under the shop tab.